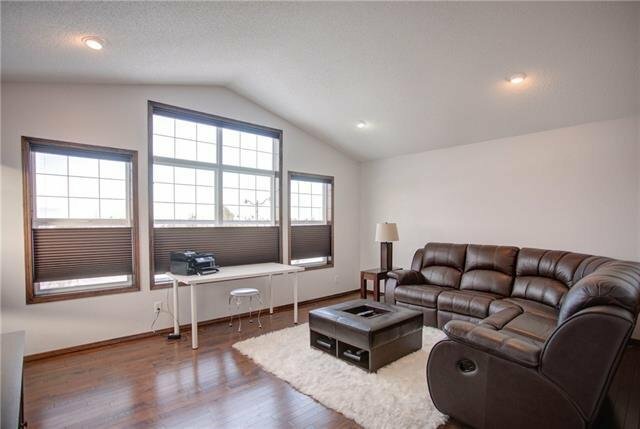 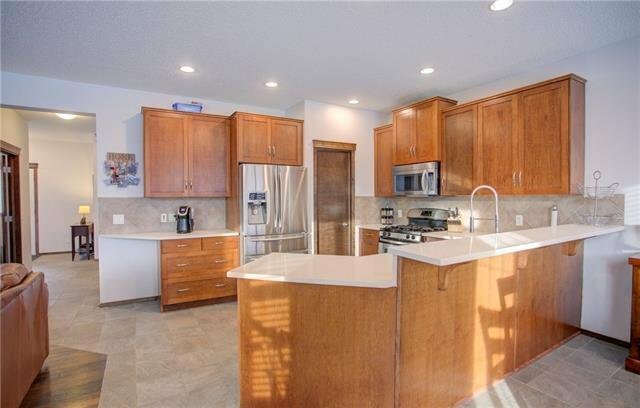 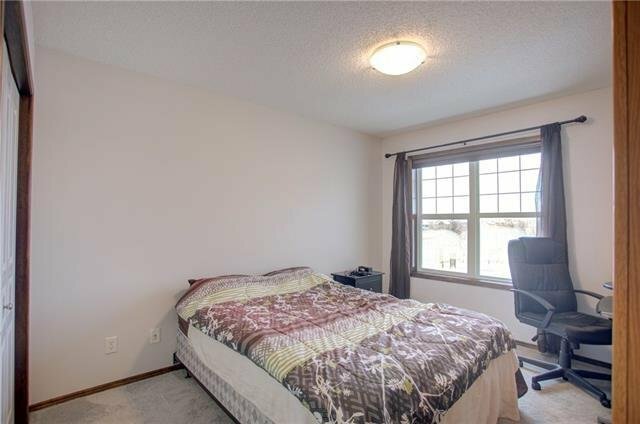 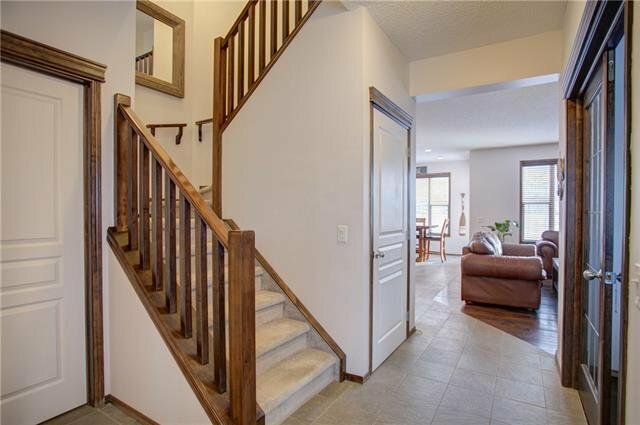 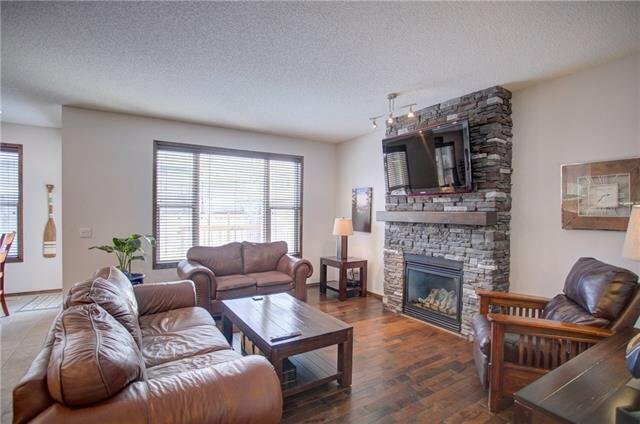 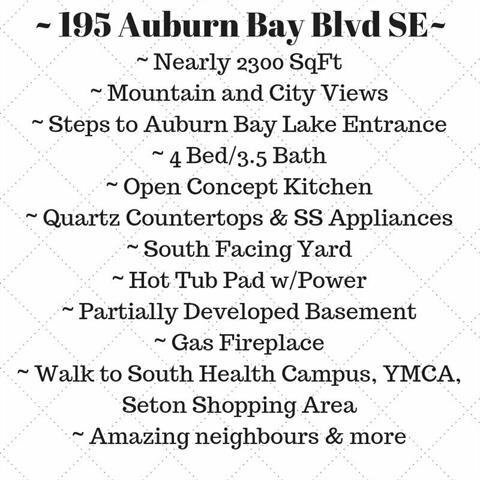 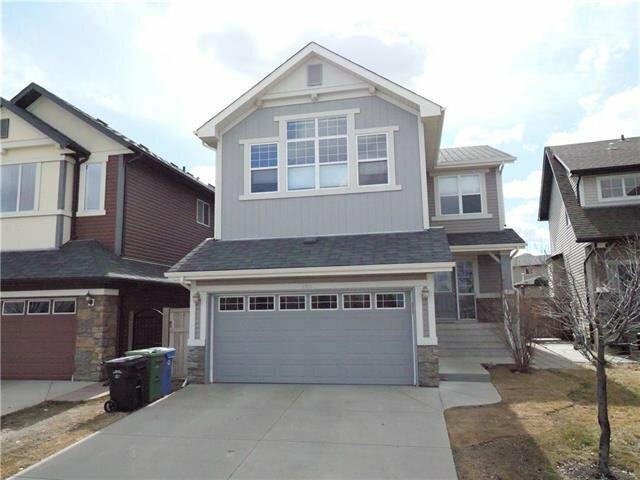 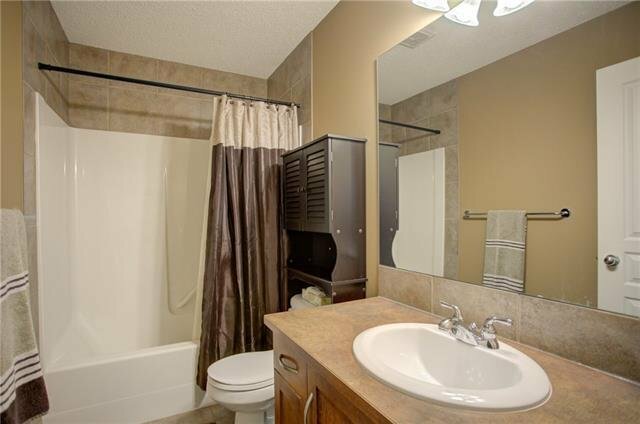 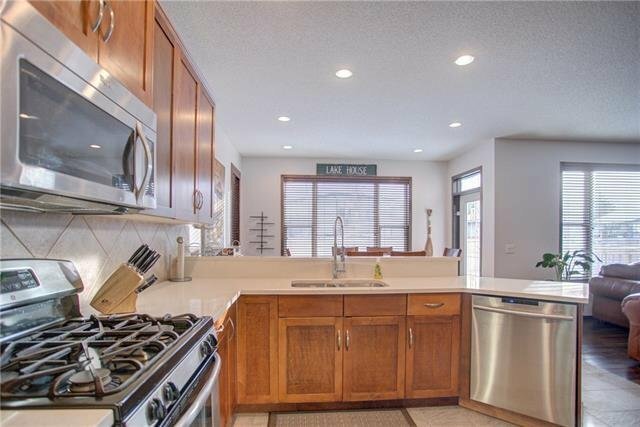 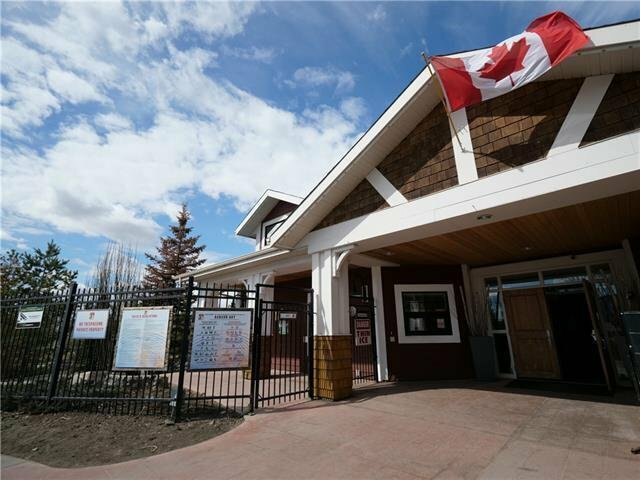 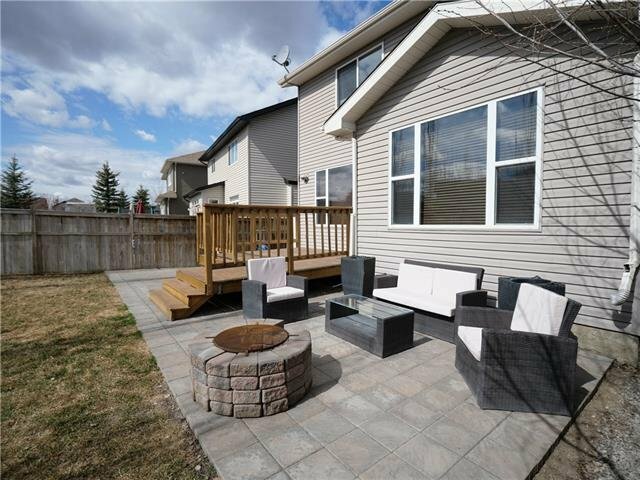 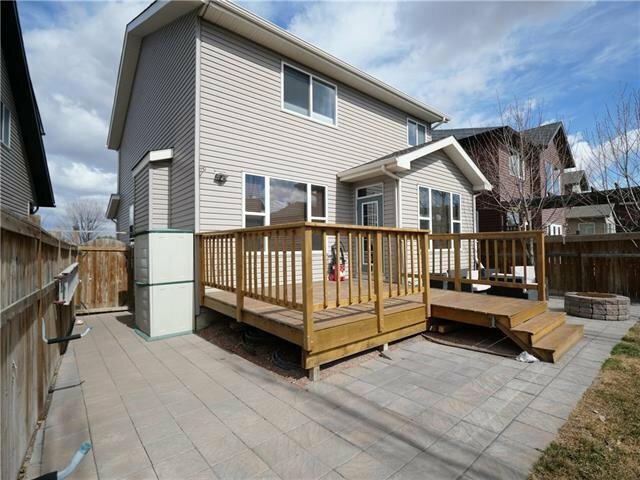 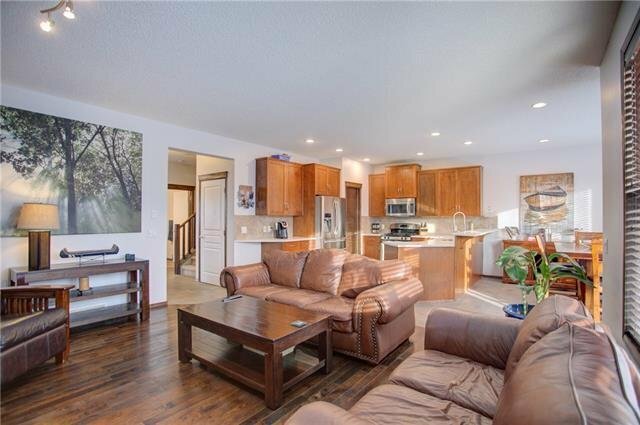 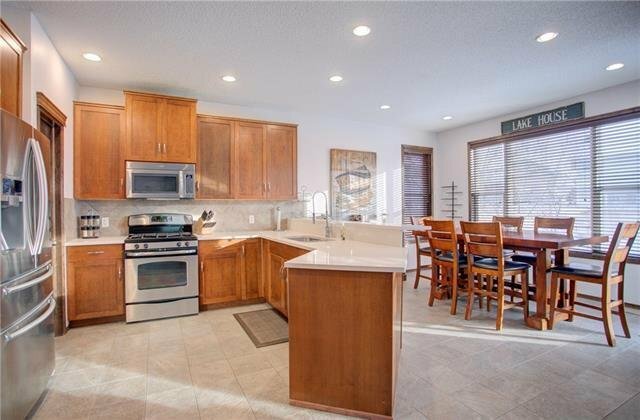 OPEN HOUSE Sunday Apr 21, 1-3 ~ Offering property fully furnished ~ Imagine living in or renting out a house just across the street from Auburn Bay lake! 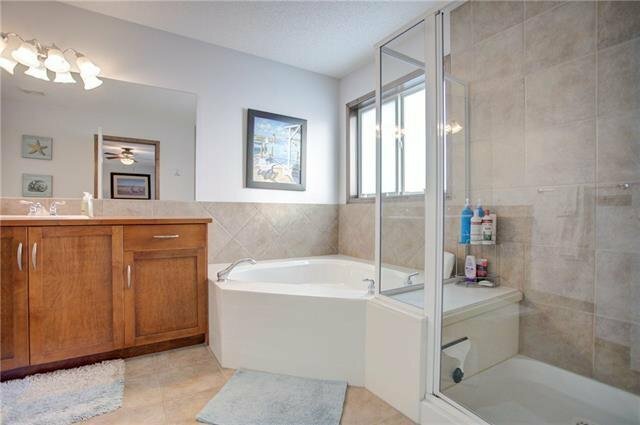 Go for a summer swim or a winter skate at your leisure. 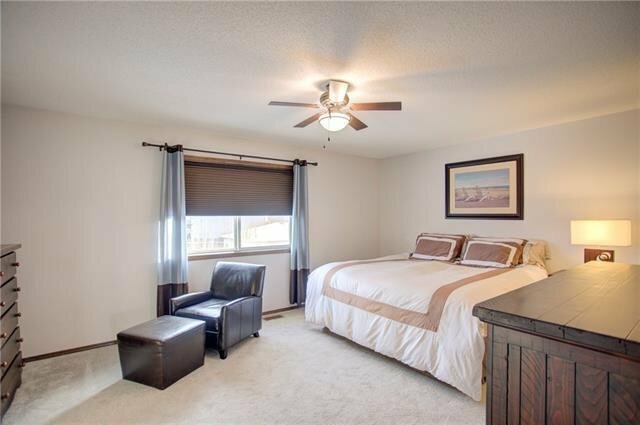 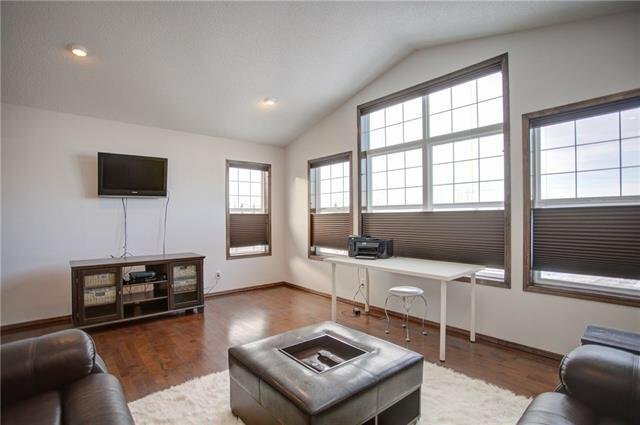 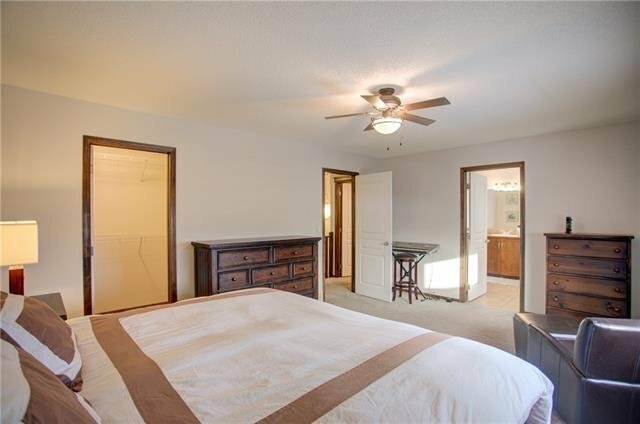 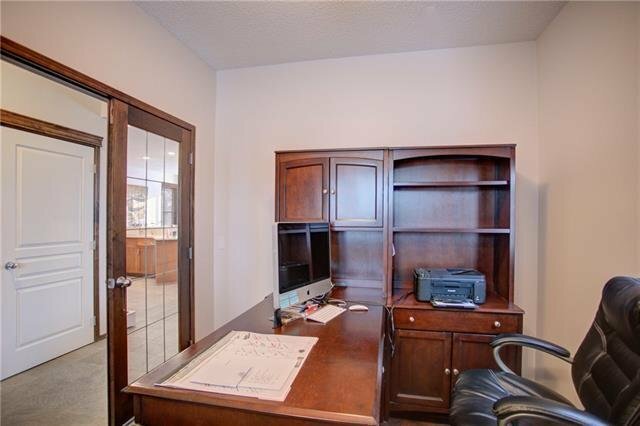 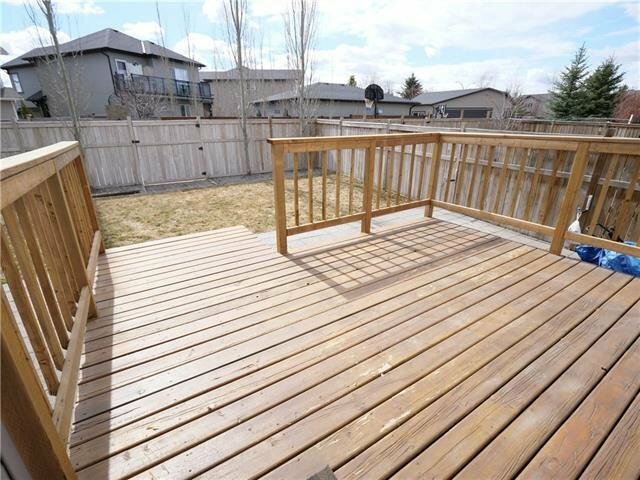 This spacious home has amazing views of the Rocky Mountains, and of downtown. 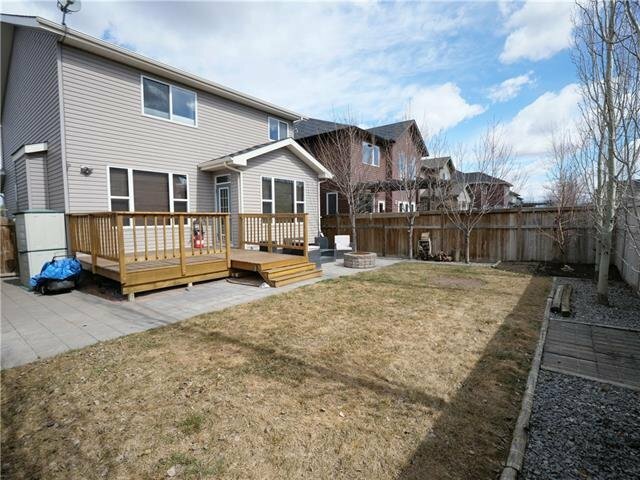 The big south facing yard has mature trees and a concrete hot tub pad with power. 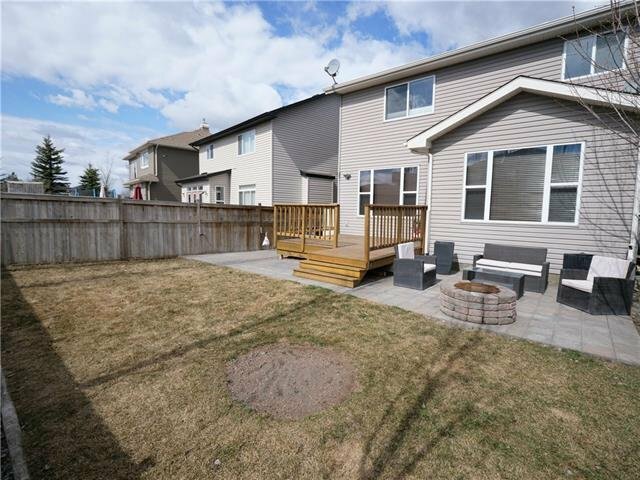 The alley is paved and the backyard is big enough that you could put a 2nd double garage off the paved alley if you wanted. 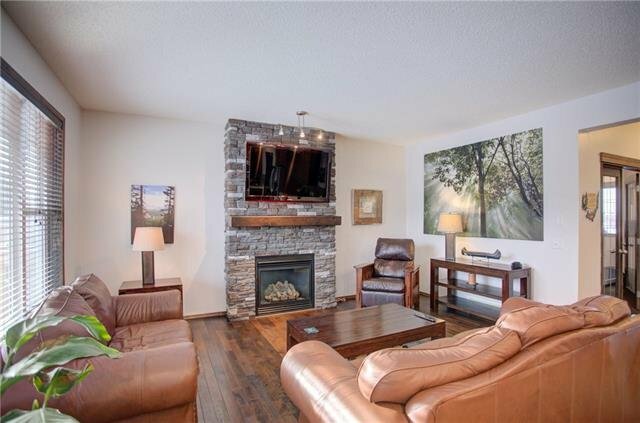 This house has been well cared for with new quartz counter tops, tile, carpet and floor to ceiling stone on the fireplace. 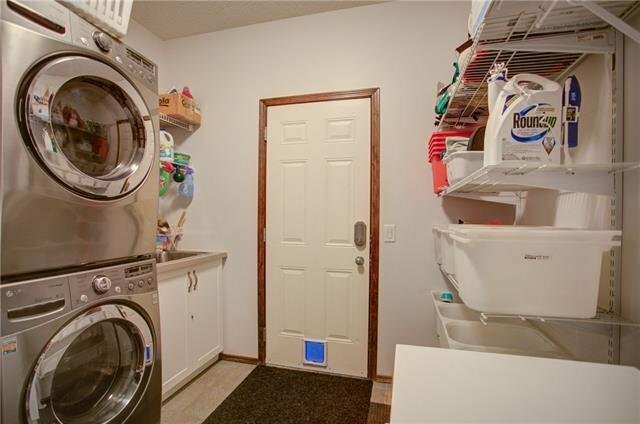 The new Washer and Dryer compliment all stainless steel appliances and of course the gas range.. there's even Hunter Douglas blinds throughout the house! 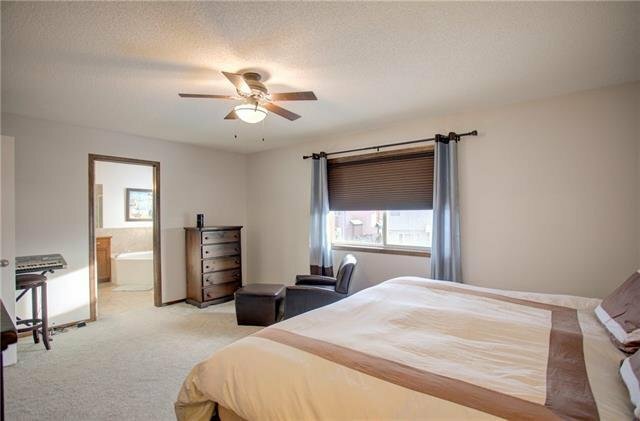 Nothing to do but move in... with a 4 piece bath and an extra bedroom in the basement, there's lots of room left to design your rec room. 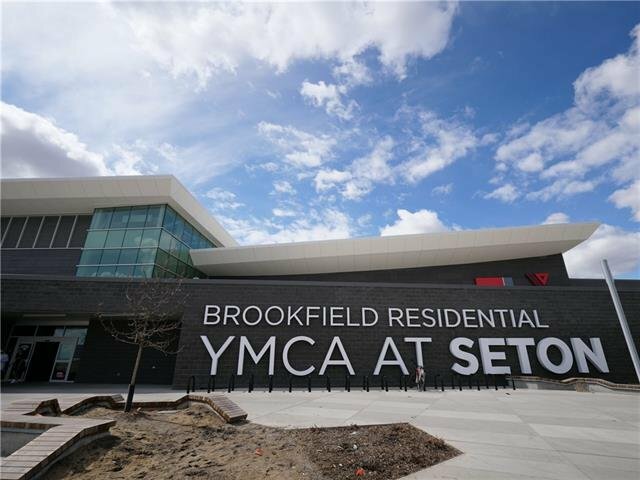 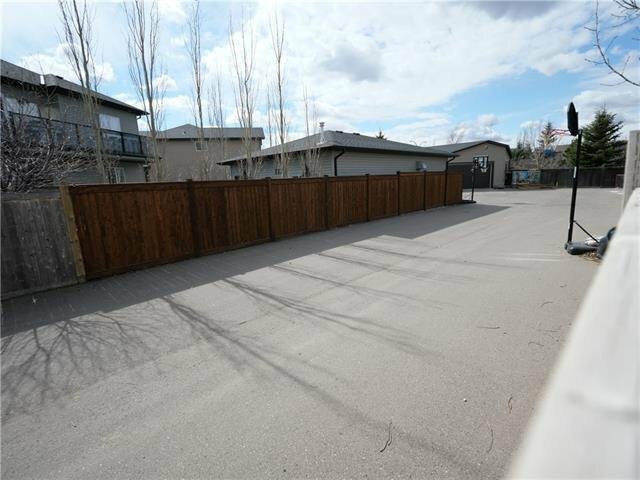 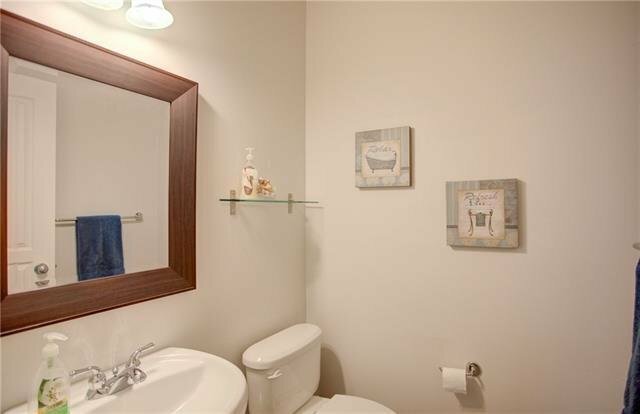 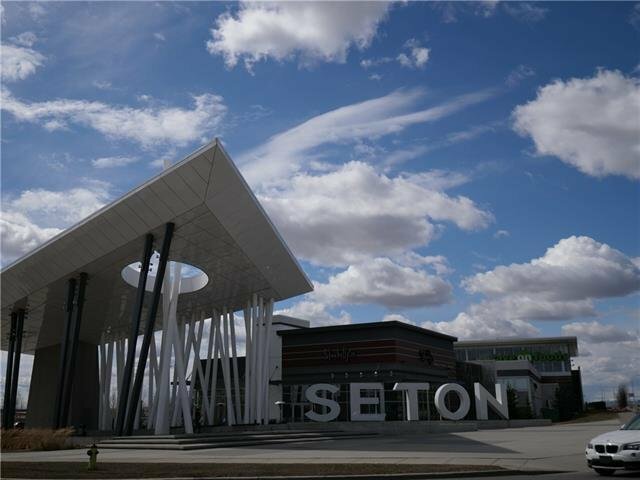 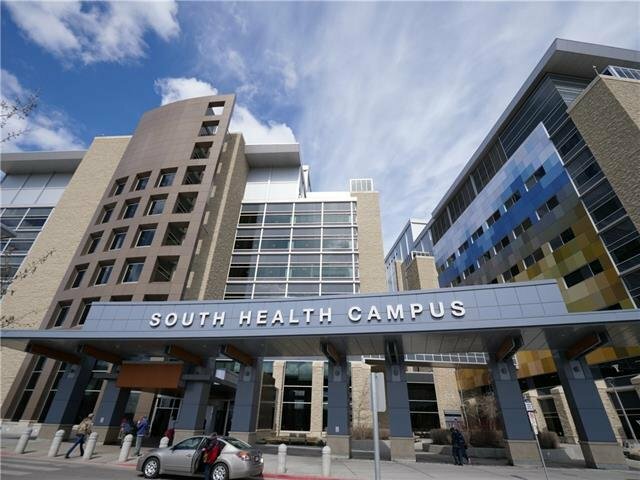 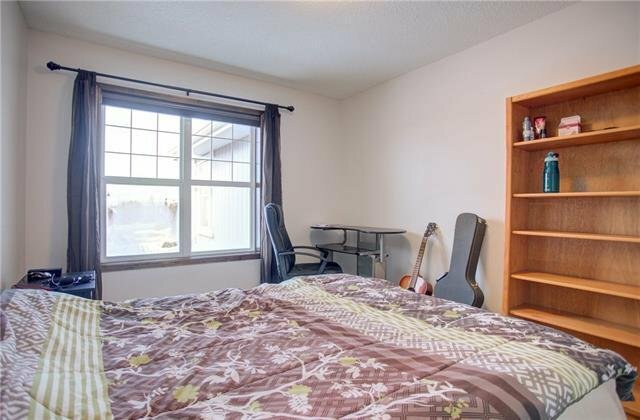 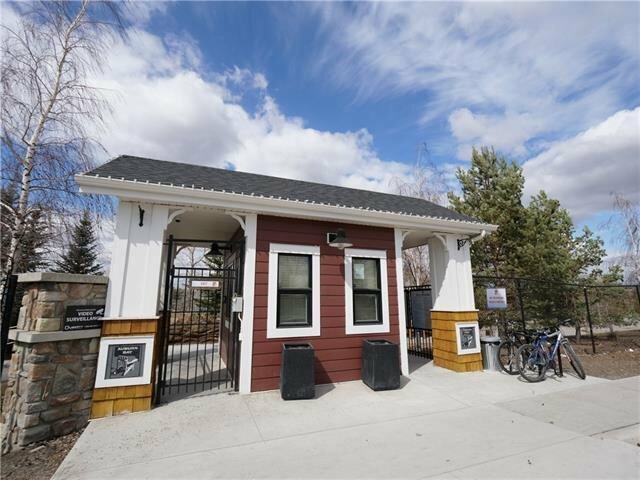 A short walk to the hospital, the rec centre and high school, with groceries, restaurants and pubs nearby.